When installing a replacement Siemens PCU, there are some steps that you need to follow to get it configured which we have detailed below. When installing a new Siemens Simodrive system, one of the first steps is to mount the drives in the cabinet. When you mount Siemens Simodrives, the modules must be arranged in a particular layout. The following criteria must be taken into account. The Control Techniques Commander SK series contains several levels of security. The level 1 security set has parameters from 1 – 10. These parameters are the most basic drive configuration registers, containing mostly motor information and start/stop selections. Level 2 allows you to view and modify parameters 1 – 60. These include more advanced features, such as, the brake control and fieldbus configuration. Level 3 access is used to access parameter 1 – 95. Parameters 61 – 80 in this level can be used to gain access to any register in the drive. Within level 3 you are also able to gain access to the diagnostic functions of Pr 81 – Pr 95. The last level is a custom security setting called Loc which can be used to edit any registers in the drive. Check out our website for all of our Commander SK series troubleshooting documentation. – feed drive with Standard interface or resolver enabled for this ”ready” setting (terminals 663, 65). after a speed, which can be set, is fallen below. The drive is braked along the ramp. > for feed drives 611 A, after the selected timer stages have expired (as supplied: 240ms) all of the controllers and pulses are inhibited. The drive brakes along the current limit. – regenerative feedback is not possible, i.e. when braking, VDClink can be >600V! – this function is interrogated with the start inhibit signal, terminal AS1–AS2. – observe the rotating field (phase sequence)! – for this operating mode, terminals 2U1, 2V1 and 2W1 of the power supply must be supplied with the line supply voltage between the series reactor and I/R, otherwise the power supply will be destroyed! This is also valid for the monitoring modules! For more info, give us a call at 800-691-8511 or email sales@mroelectric.com. 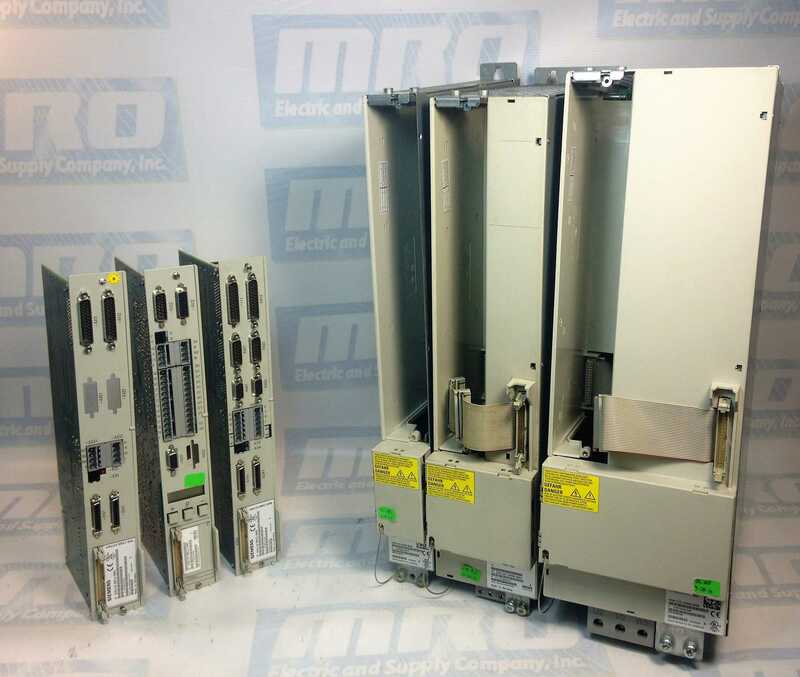 You can also take a look at our full selection of Siemens products.